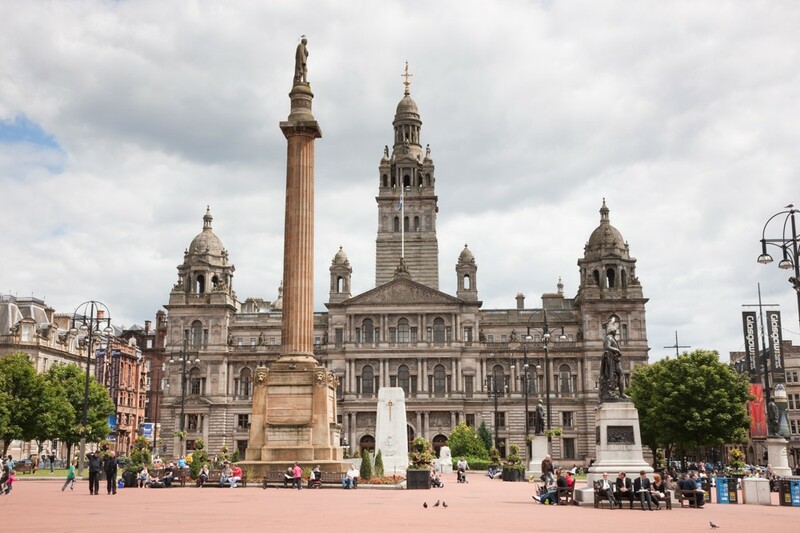 Glasgow city breaks are enjoyed by families as a weekend away or enroute to Isle of Skye or the Hebrides. Glasgow is a bustling city and the largest city in Scotland today. It is also an ancient city with its origins going back nearly thousand five hundred years. Located on the banks of the river Clyde, it became a shipbuilding city in the late 19th century. This led to it becoming one of the richest cities in the world of the time. A Glasgow family holiday lets you enjoy both the ancient and the modern. Kelvingrove Art Gallery and Museum is a free to visit museum with an impressive collection of artifacts organised over several galleries. It provides a great insight into Scotland's history and prehistory. Riverside Museum of Transport and Travel is a free museum that features a spectacular building by Zaha Hadid as well about 3000 travel and transport artifacts. It's a fascinating exploration into the history of transportation. Pollok Country Park is located in southern Glasgow and is the largest Country Park in Scotland. Managed by the National Trust Scotland it provides a variety of walks and there is a fee to visit it. Burrell Collection​ is located in the Pollok Country Park and has an art collection of over 8000 objects and is free to visit. House for an Art Lover is an art gallery and exhibition space. The interesting history here is that the house was originally designed by Charles Rennie Mackintosh in 1901. Mackintosh submitted the design for this house as part of a competition to design an "Art Lovers House" and his design was implemented in 1990. ​Glasgow Cathedral is a medieval cathedral that's part of the Church of Scotland. Admission is free. Sharmanka Kinetic Gallery is considered a slightly bizarre art gallery where figurines created from old scrap perform synchronous moves to haunting music and light. Hunterian Museum and Art Gallery is the oldest Scottish art gallery with a large collection of interesting artifacts. George Square​ opened in 1781 and is the principle public square of Glasgow. Picturesque and ideal to discover the history of Glasgow. SSE Hydro is the multi purpose indoor arena which provides a great day out whether you are going for a concert or sporting event or just visiting the restaurants. This is the cheapest way to get to Glasgow if you own a car and you are driving from Leeds or North of Leeds. Glasgow is just off the M8. National Express can be one of the cheapest ways to get to Glasgow but the journey can take upto 9 hours from the southern parts of the UK. You can reach Glasgow from other parts of the UK by train. Glasgow is served by the Central Station and Queen Street Station. Glasgow is served by two airports, Glasgow International Airport and Glasgow Prestwick International Airport. Edinburgh Airport is 40 miles away. 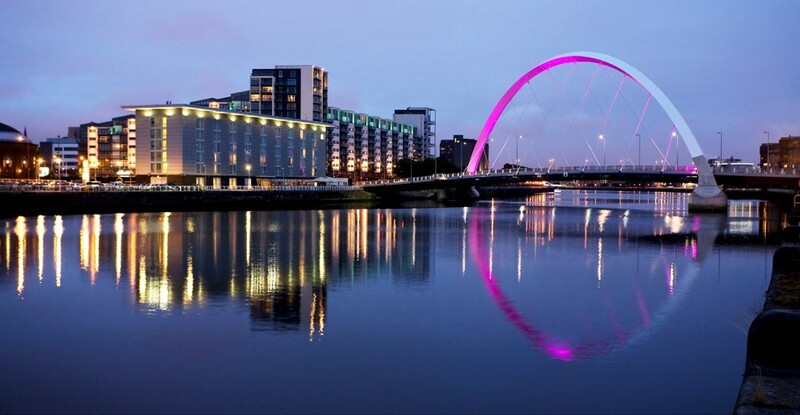 Glasgow is a city with plenty of options in multiple budget ranges for a family holiday. Self catering apartment from £95 per night for a family of 4. Hotel from £150 per night for a family of 4. Self catering apartment from £170 per night for a family of 4. It's possible to find accommodation in Glasgow for a family holiday for £40 for a family of four in the off season. Something to keep in mind if you are on a tight budget. Glasgow is a great city to stop enroute to the Highlands or Isle of Skye or further into the Hebrides. There is plenty to do in the city itself, and a bustling break before you head off to the areas of solitude in Scotland. Looking to explore more family city break options? Take a look here.